➦In 1906...Lee de Forest, who coined the term "radio", patented Audion tube. 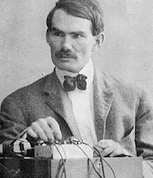 De Forest was interested in wireless telegraphy and invented the Audion in 1906. He then developed an improved wireless telegraph receiver. 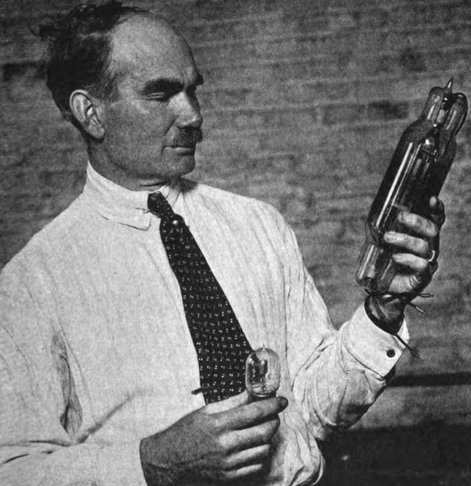 On 25 October 1906, de Forest filed a patent for diode vacuum tube detector, a two-electrode device for detecting electromagnetic waves, a variant of the Fleming valve invented two years earlier. One year later, he filed a patent for a three-electrode device that was a much more sensitive detector of electromagnetic waves. It was granted US Patent 879,532 in February 1908. The device was also called the de Forest valve, and since 1919 has been known as the triode. De Forest's innovation was the insertion of a third electrode, the grid, between the cathode (filament) and the anode (plate) of the previously invented diode. The resulting triode or three-electrode vacuum tube could be used as an amplifier of electrical signals, notably for radio reception. The Audion was the fastest electronic switching element of the time, and was later used in early digital electronics (such as computers). The triode was vital in the development of transcontinental telephone communications, radio, and radar until the 1948 invention of the transistor. In 1904, a De Forest transmitter and receiver were set up aboard the steamboat Haimun operated on behalf of The Times, the first of its kind. On July 18, 1907, De Forest broadcast the first ship-to-shore message from the steam yacht Thelma. The communication provided quick, accurate race results of the Annual Inter-Lakes Yachting Association (I-LYA) Regatta. The message was received by his assistant, Frank E. Butler of Monroeville, Ohio, in the Pavilion at Fox's Dock located on South Bass Island on Lake Erie. DeForest disliked the term "wireless" and chose a new moniker, "radio." De Forest is credited with the birth of public radio broadcasting when on January 12, 1910, he conducted experimental broadcast of part of the live performance of Tosca and, the next day, a performance with the participation of Italian tenor Enrico Caruso from the stage of Metropolitan Opera House in New York City. ➦In 1913...actor/narrator Alexander Scourby was born in Brooklyn. His deep resonant voice was developed in radio drama of the 1940’s. He became one of TV’s most in-demand narrators, notably on Victory at Sea, the CBS series The Body Human, and the National Geographic specials. He died Feb 22, 1985 at age 71. 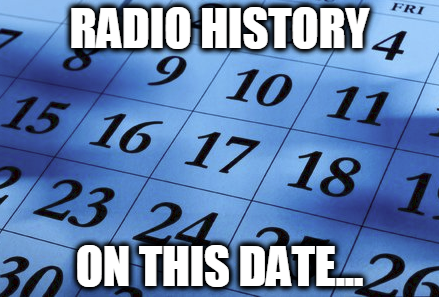 ➦In 1925...Legendary radio broadcaster Jack Gale was born. During his remarkable career he has been a radio performer, programmer, owner, voice-over talent, music publisher, manager and record producer spans more than 50 years. Born in Baltimore, Gale started in radio prior to the emergence of rock 'n' roll and the Top 40 format. He was heard on WSRS in Cleveland, WTMA in Charleston S.C., WITH in Baltimore, and WMEX in Boston before joining Stan Kaplan in 1965 at BIG WAYS in Charlotte, N.C., where the station and "Jack Gale the Morning Glory" achieved #1 ratings in 36 North and South Carolina counties. Gale is still active and lives in the Fort Pierce, FL area. ➦In 1956...Dickie Goodman and Bill Buchanan (known as novelty records duo Buchanan and Goodman) appear in a New York City court to begin untangling the thicket of lawsuits brought on by their hit "Flying Saucer," which utilizes any number of "drop-ins" of other artists' hit records for comedic effect. This novelty song reached #3 on Billboard in 1956. 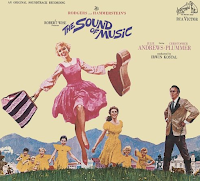 ➦In 1965...The Album Charts..After 35 weeks, the Soundtrack to "The Sound of Music" reached #1 on the album chart. That album toppled Help! by the Beatles while the Ramsey Lewis Trio dropped with The In Crowd. Herb Alpert & the Tijuana Brass moved back up with Whipped Cream & Other Delights and Bob Dylan was down after peaking at #3 with Highway 61 Revisited. The rest of the Top 10: Look At Us from Sonny & Cher, Out of Our Heads by the Rolling Stones, the Soundtrack to "Mary Poppins", Barbra Streisand was emphatic with My Name Is Barbra and Herman's Hermits dropped to #10 with Herman's Hermits On Tour. ➦In 2001...Yankees Radio Broadcaster Frank Messer died. An Asheville, North Carolina native, Messer was a member of the Marines during World War II in the South Pacific. 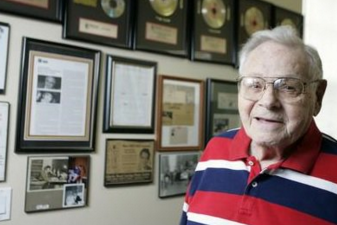 After the war, he worked as a broadcaster in minor league baseball in the 1950s. He got his major-league break when he joined the Baltimore Orioles and worked alongside their noted longtime voice, Chuck Thompson. 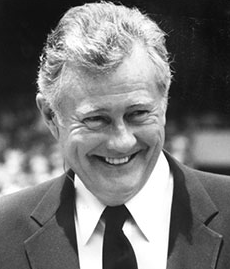 In 1966, the year Bill O’Donnell also joined the broadcast crew, the O’s won their first world championship. Messer also called Baltimore Colts football during the 1960s. Messer’s next major-league break came after the 1967 season, when Joe Garagiola left the Yankees broadcast crew to concentrate on the network jobs he also had at NBC Sports and NBC News. 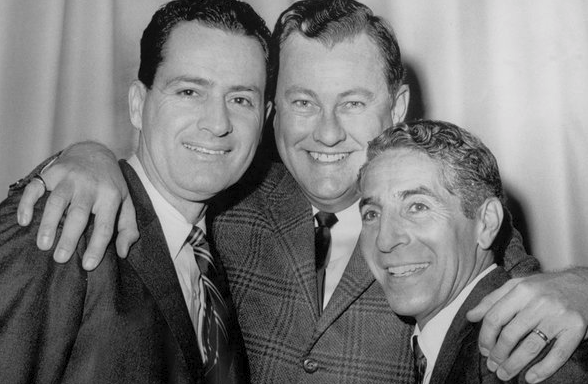 Messer took Garagiola’s place for 1968, working with ex-Yankees Jerry Coleman and Phil Rizzuto. The Yankees’ longtime public-relations director Bob Fishel had urged team management to approve a traditional play-by-play sportscaster, which the Yanks had not had since the firing of Red Barber after the 1966 season.